Books can be educational and they can be entertaining. Sometimes they can be both! 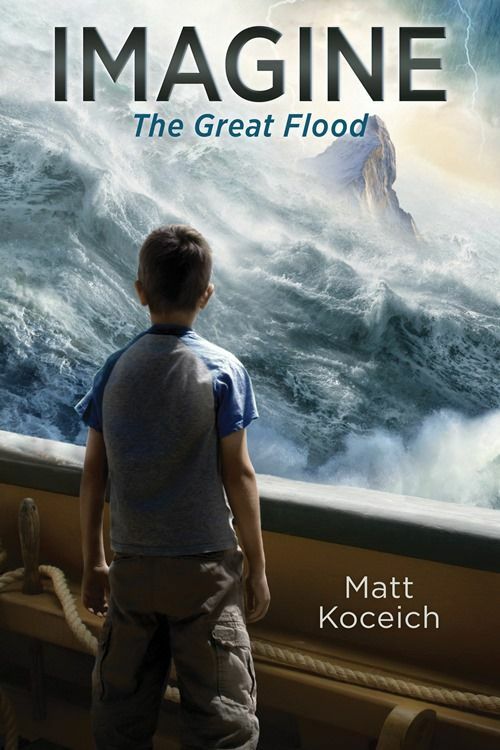 Imagine. . .The Great Flood by Matt Koceich is a new title in the genre of biblical fiction for kids by Barbour Publishing. 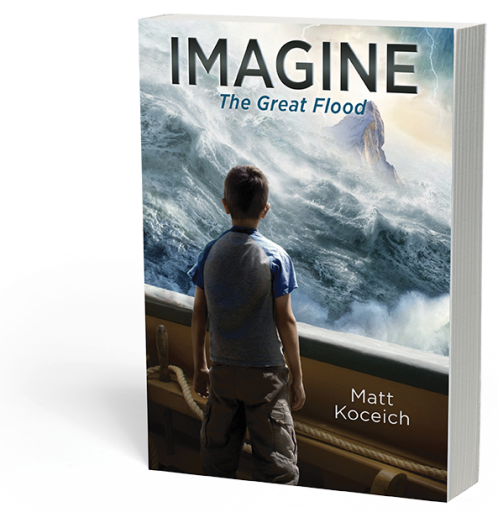 Schoolteacher and missionary, Matt Koceich, is the author of the new Imagine series. Imagine… The Great Flood is the first book with another ( Imagine…The Ten Plagues) already slated for publication in Spring 2018. Matt merges his love of education and the Bible in his creation of a fictional story which captures the imagination of kids. The story is written as part of an epic adventure series where kids are invited to consider what it would be like to live through monumental Biblical events. 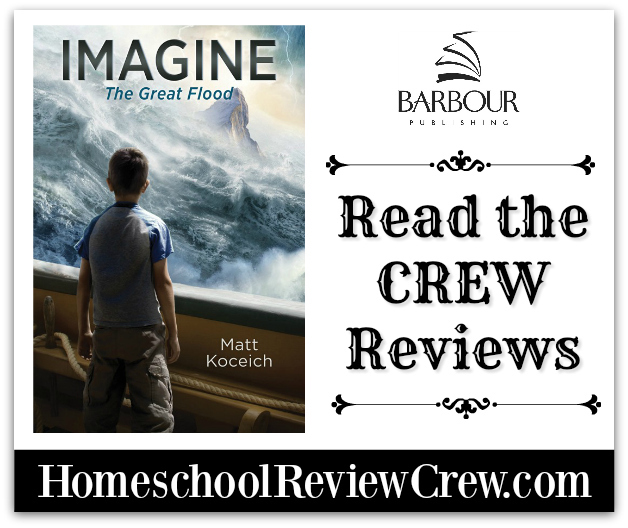 In Imagine… The Great Flood, ten-year-old Corey is lamenting his family’s pending move from Galveston, Texas to Florida. He likes his home, neighborhood, friends, and school and can’t see why his dad is going to uproot them to an unknown land. He’s shared his frustration and fear with his mother as they walk the family dog. But, Corey is soon transported to a different land and time following a fall which knocked him out. When he wakes, he sees two lions hovering over him. He soon realizes they aren’t going to eat him and quickly learns he is back in the time of Noah. He meets Shem who does not seem too disconcerted that Corey is from a land far away and a time in the future. Now Corey finds himself helping Shem and Noah’s other sons to bring the animals to the Ark as God commanded. But, it isn’t an easy task. The Nephilim are now doing what they can to prevent Noah’s family from stocking the ark with the animals. A man named Elizar, who possesses magical powers, is trying to separate Corey from Shem while also working with the Nephilim to thwart their actions. Even the villagers who laughed at Noah for building an ark are working against the family! Through this adventure, Corey eventually learns to place his trust in God and recognize that God is with him always. With a little over 100 pages in the book, Imagine… The Great Flood is a great choice for kids between the ages of 8 to 12. Founded initially as a clearinghouse for overstocked Christian books, Barbour Publishing has grown into a company that also publishes over 150 titles per year. With the Bible and Jesus Christ as their cornerstones, they are proud to be providing reading options which share the message of Christ around the globe. Thank you to Laura O @ Day by Day in Our World for this anchor post.